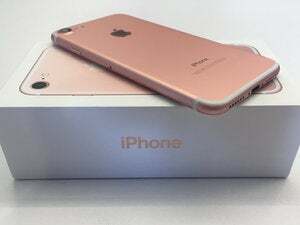 There’s a lot of buzz about the new iPhone and iPad. 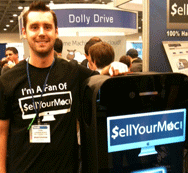 You could offset the cost of a new device by selling your old one to SellYourMac.com. The company was at Macworld Expo to showcase their services. SellYourMac.com buys old Macs and iOS devices. Quotes are obtained by filling out a form on the company’s Website, and by providing pictures and serial numbers of the hardware you want to sell. When SellYourMac.com receives the hardware, it runs tests to make sure the hardware is in proper working condition, and then sends the customer a check or payment through Paypal. The hardware that the company buys is cleaned, repaired (if needed), reformatted, and has the latest operating system installed (SellYourMac.com also installs the latest version of iLife on Macs). The company then sells the hardware through eBay. Chris Ladenburger, the general manager of SellYourMac.com, says they offer better quotes than other popular online used hardware buyers, such as Gazelle.